The pitching machine was first introduced over a century ago. Since then, it has evolved quite a bit. We’ve gone from simple wheel and arm machines, to machines that can throw every pitch that you could imagine from both arm angles. While not everyone needs one that is that complex, pitching machines are a must have for any serious baseball organization, Little League, or practice facility. They are also a great way to save baseball moms and dads money! Get one for your garage, basement, or backyard and stop paying to rent time at your local facility! Whether you are looking for a machine for your own backyard, for your machine pitch league games, or for a large training facility, we have done some research and found the best machine for you. We’ve broken down our best baseball pitching machine reviews into several categories: The overall top rated pitching machine, the best battery powered pitching machine, the best pitching machine for kids, and the best pitching machine for the money. This newcomer has a funny name, but garners rave reviews. If you want to be able to quickly adjust a pitch to different areas within the strike zone between pitches, or get the exact break or movement on a pitch that you’re looking for, this is the machine for you. Users can adjust each of the three wheels’ speed independently. The result is more precision with the type of pitch you’re creating. If you know the pitcher you’ll be facing, you could precisely model the look of his breaking ball in batting practice with the Mound Yeti 3! It is also great for defense. With its easily adjusted swivel, You’ll be able to be precise with every ground ball and fly ball, and save valuable practice time. Users report that this is the most stable, smoothest and quietest pitching machine that they have ever operated. The only downside we can find is that it tops out around 90 mph. If you need the extra juice to get to 100 mph or to shoot even higher fly balls, check out the Mound Yeti 2 below. Other three-wheel machines on the market with similar features are going for around $3,300. In my opinion,this is the absolute best buy if you’re looking for a professional quality, baseball-only pitching machine. Click Here to Check Price of Mound Yeti 3 on Amazon! If portability is your main concern, then this is your machine. This Zooka Pitching Machine weighs in at a mere 42 lbs, and will throw up to 500 pitches on a single charge. It will throw real baseballs up to 65 MPH. Not bad for battery power! It will also throw dimple balls or tennis balls. You can take it to any baseball field or batting cage you can find, without having to worry about finding a power source. Reviewers say that it is also perfect for use in infield and outfield practice. Click Here to Check Price of Zooka ZS740 on Amazon! The Jugs name is synonymous with pitching machines. You will not find a machine that is more reliable than a Jugs wheel machine. The Jugs MVP Pitching Machine is a must have for any machine pitch league or team. They are very user friendly and coaches will have no trouble setting them up quickly for games or practice. They also last for ages! It’s not uncommon to see Jugs machines still kicking after a decade of heavy use. Click Here to Check Price of Jugs MVP on Amazon! The Jugs Lite Flite Pitching Machine is the perfect option for younger kids. They use foam Lite Flite balls that remove the fear of being hit. They still have the ability to simulate up to an 85 MPH fastball from 25 feet and can also throw LH and RH curveballs and sliders. This machine is the perfect option for the beginner and also a great option for kids to use themselves (with caution and adult supervision of course!). Lite Flite balls can be used indoors without a cage and will not damage walls. Click Here to Check Price of Jugs Lite Flite on Amazon! Here’s another great selection from the Mound Yeti brand! Unlike the three-wheeled version, this two-wheeled Mound Yeti is convertible from baseball to softball. Also, unlike its brother, it throws 100 MPH fastballs! Even with the two-wheel design, you’ll be able to throw LH and RH curveballs and sliders, and knuckle balls. It’s also easily transported by rolling it on its wheels. Reviewers say that it is great for offense and defensive practice as well. The only complaint we’ve found about this machine is that it may take you a few times to learn how to convert it between baseball and softball use. If you need a machine that can fire out both baseball and softballs, save yourself some scratch and go with the Mound Yeti 2! Click Here to Check Price of Mound Yeti 2 on Amazon! The Mound Yeti looks really cool. That looks like the best option in my opinion. Saving an extra grand because you have to learn something about machinery sounds intriguing to me. Why does it only have 3/5 stars for portability when you can roll it? How heavy is the Mound Yeti? Thanks for your comment Jack. Yes, I was thinking the same thing. With a 6 year warranty, on top of saving a lot of money, I’d go for the Mound Yeti. Although it does have those transport wheels, it is still very heavy. It weighs around 100 lbs. Most of the heavy-duty wheel machines can be broken down to roll on their wheels, but breaking them down and setting them up is not the easiest. It is often a two person job because of how heavy and awkward they are. Hi, I have such fond memories of batting cages! I grew up in wet Washington, so indoor batting cages were great! It looks like the Hack Attack Jr.gets really great reviews and is much better priced than the daddy version. What is the speed needed for most kids in the junior high age group? Also, the Jugs Lite Flite seems perfect for little kids-but is it hard for them to go from hitting the foam balls to the balls in a game situation? That’s great Steve! Always great to have the option to hit inside on those rainy days! Yes, the Hack Attack Jr. would be a great option for the junior high age group. The average junior high fastball tops out around 70 mph. You will have a few kids who can run it up higher than that, but for the most part they’ll be around that speed. If you need to work on faster pitches, you can always crank the machine up and move it closer to the hitter. 70 mph from 45 or 50 feet will look a lot faster! I think the Lite Flite balls would be beneficial for the young guys. It removes the fear of getting hit, so they can concentrate on hitting the ball. I don’t think there would be any downside as far as how hitters would perform in the game after using them. 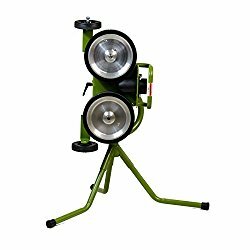 Really excited after reading the post as it covers all the possible types of pitching machines available on amazon with the respective prices and what to expect from each machine. 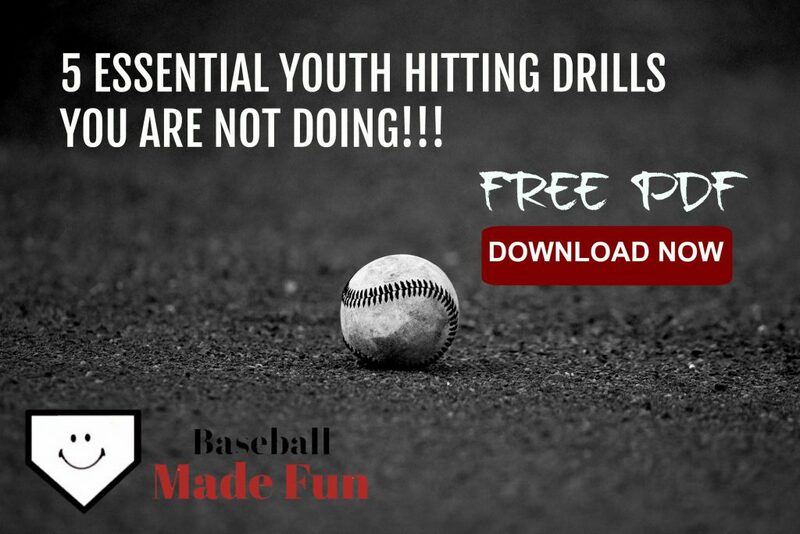 I am sure baseball enthusiasts like me will love this post due to the information that is available at one place. I really like the Mound Yeti and would certainly buy it as it is the most cost effective option available. Thanks, Alok. Yes, these machines can get quite expensive. It’s nice to have a more affordable option that doesn’t skimp on quality and features. I remember the day when my team had to practice in the batting cages. Wow have pitching machines come a long way! I do like the Mound Yeti. For the price, it comes with enough features to get in a great practice and seems like this might be the best …. and easiest on the budget for a team. Great information and thanks for sharing! Yes they have come a long way! You should see some of the other devices they have come out with in the last 10 years or so. There’s something called Pro Batter, which is basically a computer connected to a projector and a pitching machine. You can choose the type of pitcher you want, and it will show the pitcher throw the ball. Pretty neat! The best device of late is HitTrax. It is like you are hitting in a video game. This is really cool. I remember when I was younger going over to my friends house who had a pitching machine and just hitting pitches for hours. The jugs MVP is similar to the one my friend had. It makes me want to go back out to the barring cages and hit some balls! Never too old to go hit in the cages! Yes, if you have kids that are ballplayers, and you have the means and the space to put a cage and a machine on your property, I would do it. Just having the option to go out and hit anytime you want can really spark a passion for the game! Do you have any information on the Mound Yeti 3 pitching machine? At the time I had originally posted this article, I wasn’t aware that Mound Yeti offered a three-wheel machine. I’ll be updating my recommendations in the article to include the Mound Yeti 3. As a hitter, I prefer the three-wheel machines to the two-wheeled versions. It also allows for more variations of pitches and to help you get the exact style of break or movement you want on the pitch. From the few reviews available on the Mound Yeti 3, I’ve read that it is quieter and smoother when delivering a pitch than any other machine on the market. I know from researching the other Mound Yetis, that they are also extremely versatile. The only downside on the three-wheel versus the two-wheel is that it is not convertible to a softball machine. Hope this helps! Thanks. What do you know about the “ac or dc” operation? Does it have a separate battery pack or are the batteries incorporated into the machine itself? Do you know of any video reviews of the machine? No video reviews that I know of. I can only find video reviews on the Mound Yeti 1 & 2. That’s a great question regarding the power. I’ve contacted the company to see if they can further explain “AC or DC.” I do notice on their homepage that if you click through the photos of the Mound Yeti 3, you’ll see some device at the bottom of one of the pictures. It appears that the power cord is plugged into whatever that device might be (maybe a battery pack?). I also asked them about that. As soon as they respond I’ll let you know. My name is Mr Aaron Heyman. I will like to purchase Mound Yeti Two Wheel Pitching Machine? I do not personally sell any products. These are simply product recommendations. Unfortunately it looks as though Mound Yeti machines are no longer being sold on Amazon, through the link that was provided in the article. You’ll probably have more luck visiting http://moundyeti.com/ if you want to purchase one of their machines. Thanks for using Baseball Made Fun for your research!